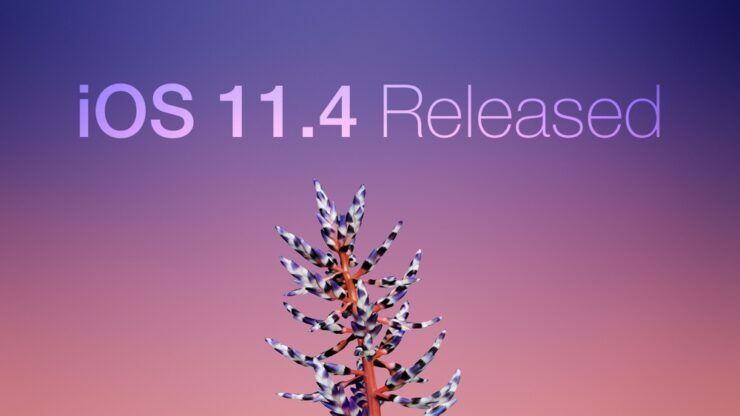 Apple has finally released the end-user version of iOS 11.4 for iPhone, iPad and iPod. It features Messages in iCloud, AirPlay 2 and few other changes which are highlighted in the official changelog. iOS 11.4 is a very important update for a couple of reasons. First of all, it brings Messages in iCloud to everyone, a feature which was shown off last year at WWDC 2017. What it does is essentially sync your messages with Apple’s servers so that every single device of yours has the Messages app working in complete harmony. If you delete one message from a device it will be gone from the other. Even if you delete an entire thread, the change will be reflected on every single device you’ve signed into. It’s pretty cool. That’s not all though, AirPlay 2 has finally made the cut in this release, something which was promised quite a while back too and was supposed to be a part of iOS 11.3. It’s an upgraded version of the original AirPlay protocol that allows you to stream your content to multiple locations. For example, if you have two HomePod speakers at home, you can have them both play Eye of the Tiger in perfect sync. Apart from the above two major features, there’s a lot more under the hood as well, something which you can check out in the official changelog screenshots below. This includes bug fixes, performance related enhancements and even security patches which are absolutely essential in this day and age. Compared to iOS 11.3, the latest update for iPhone, iPad and iPod devices is not that huge. iOS 11.3 was a massive shift at how we looked at Apple’s mobile software lately because it added a lot of polish to a lot of things especially the iPad. If you are looking to download iOS 11.4 right now, you can either do it over the air without losing your files or even perform a clean install if you like. You can find all the relevant links below. Personally, I would highly recommend updating to iOS 11.4 right away. Why? Because this is likely the last major release to iOS we will see before iOS 12 Beta is released to developers next month. Though it’s rumored that iOS 12 will not be big on features, but instead it will shift its focus towards lots of bug fixes and improving overall performance. This is something which iOS badly needs at this point. If you are looking forward to trying out iOS 12, you might want to start preparing your device for it now so that everything goes ahead as smoothly as possible.